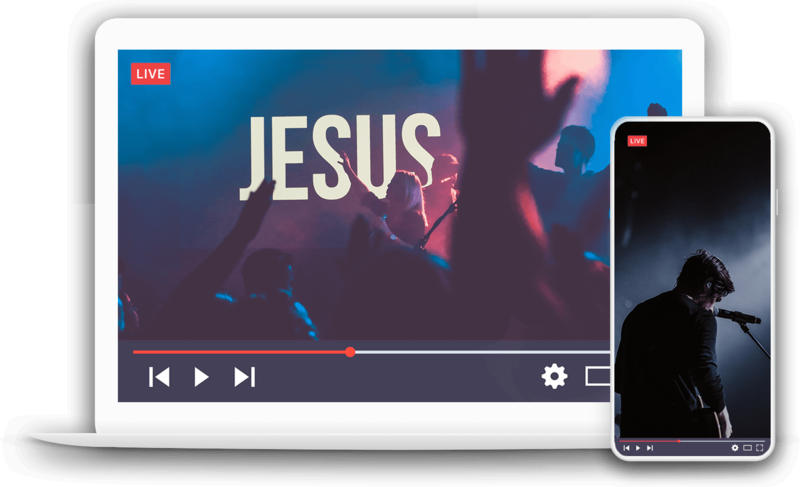 Powered by ChurchStreaming.tv live streaming is a powerful way to maximize your ministry impact and reach your community like never before. Our support agents will walk you through the setup process and answer any questions you may have. We do not require your church to sign any contracts. We will earn your business each and every month. Embed your live and archive players in any site or app you want! There are many designs to choose from. We will build a custom Apple TV and Roku Channel for your church. We can also connect to your existing channel. Easily and automatically distribute your stream to your other video accounts! like Vimeo, Facebook Live, Youtube, etc. Detailed viewing statistics show you who is watching in real time. See viewer locations, how long they view, and which devices used. Capture your video with any type of camera, switcher, or mobile device. Then encode and deliver your video with a streaming box, or computer. We distribute your video to your website and many other media platforms. STREAMING HAS NEVER BEEN EASIER! We will guide you through every step of the live streaming process and make sure your church has a pleasant experience!